Yes you got it! Duchess Kate posed for a $40,000 portrait painted by the royal artist Nicola Philipps while William was off doing his military duty in the Falklands. Now Kate will present the future king with what is likely to become an instant popular classic. These royals take their portraits seriously! In fact most masters of the past made their largest commissions painting royalty. Hans Holbein the Younger’s amazing portrait of King Henry VIII comes to mind as a critically important work both artistically and historically. Not that we are comparing Kate (or William!) to the many times married monarch! The SUN exclusively reports: The Duchess of Cambridge posed for the $40,000 canvas by royal artist Nicky Philipp’s while Wills was on RAF duty in the Falklands. “It’s the first portrait Kate has sat for, which is a huge thing for the royals. It is understood that William’s dad, Prince Charles, is paying for the gift. Kate — who studied history of art with William at St Andrews University — is expected to hand the painting to her husband at his June birthday bash. But the source added she will have many more gifts and treats for William “up her sleeve”. 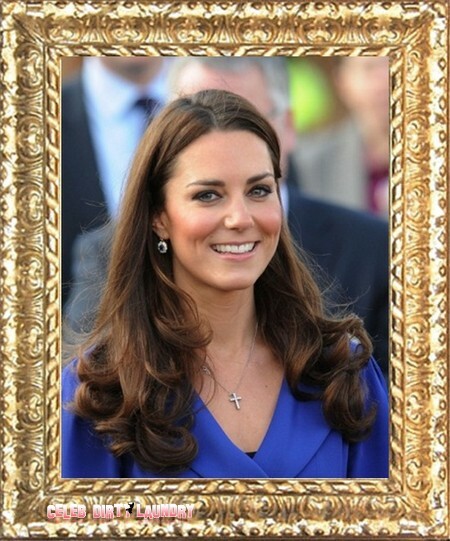 A royal spokesman last night confirmed a “privately commissioned painting” of the Duchess had been completed. Kate Middleton is the most beautiful and charming royal we have seen Prince William will be so delighted to receive this portrait on his 30th birthday. We cannot overemphasize how lucky the royal family is to have Kate as a member. Her modest behavior and wonderful warmth set her apart from the last royal fallen star, Lady Di. The Royal Wedding Guest List: Celeb Dirty Laundry Wants an Invite! Kate Middleton And Prince William Expecting A Baby – Are They Adopting?